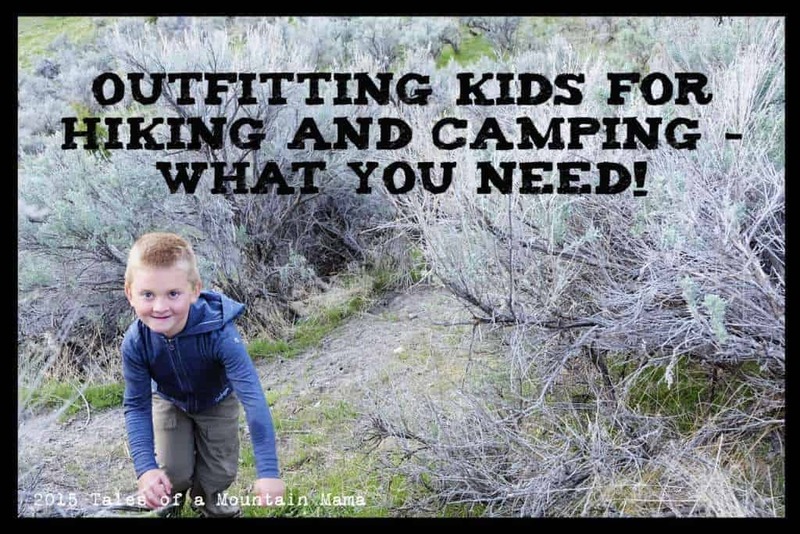 Here at Tales of a Mountain Mama, we are all about quality outdoor gear for our families….including the four-legged members! Two of our team members, Nancy and Ginny, put some products to the test from Ruffwear and Stunt Puppy. As a small animal veterinarian who lives in the mountains of western North Carolina, I enjoy educating my clients and friends about best practices when hiking with their dog. 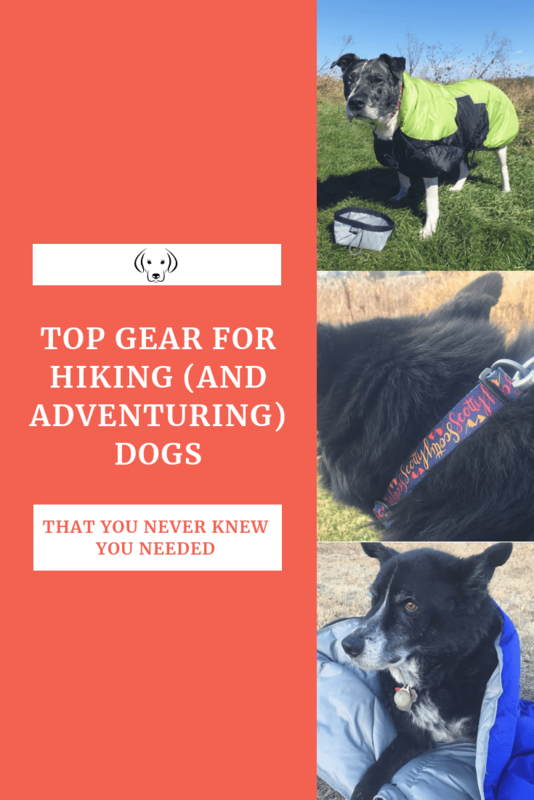 The conversation primarily centers around preventing injuries and illness while hiking, but I always stress the importance of keeping your dog both cool and hydrated in summer and warm enough in winter. While dogs have a higher core temperature than humans and a fur coat in their possession at all times, they are certainly prone to hypothermia in the right conditions. So when D-Fa dogs provided me with their cleverly named Puff Doggy to try and review, I was very excited to see if it lived up to my expectations. 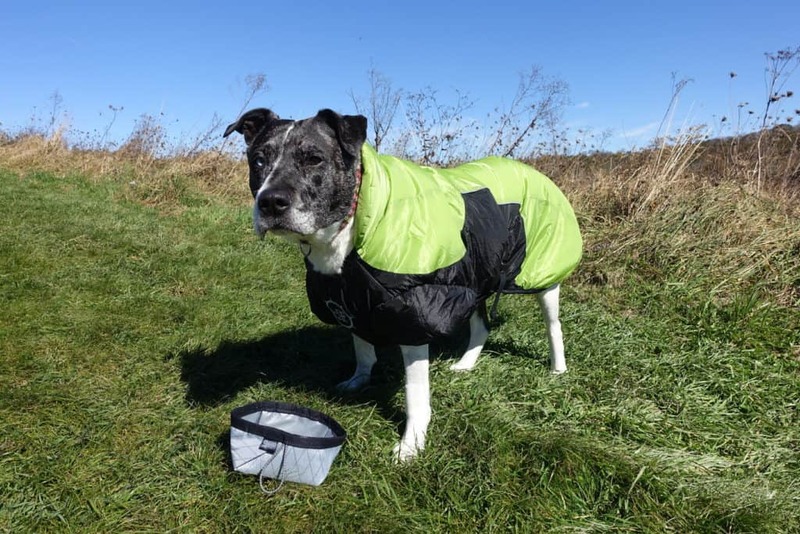 The jacket, which is a cross between a puffy jacket and a sleeping bag, was designed in New Zealand for dogs who work with avalanche rescue groups. 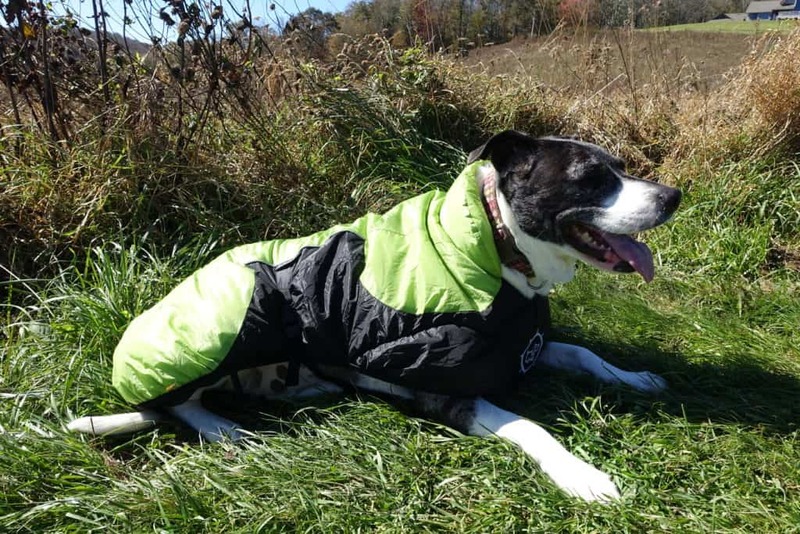 I was intrigued by something that could double as both a jacket and a sleeping bag for my dog, Josie, since I oftentimes bring a down jacket for her on our cool weather backpacking trips. Josie isn’t used to wearing any type of jacket and was still recovering from a recent shoulder surgery, so I wasn’t quite sure how well she would take to the whole thing. Would she be as excited about wearing her fashionable new duds as I was, or would it be an exercise in frustration, only to be achieved with a pocketful of her favorite treats to coerce her? I’m happy to report that both she and I loved her coat! It fit snugly to her body, but not so tight that it was restrictive. The design of the coat lended itself well to her deep chest, but Stunt Puppy’s “Fit-To-Move” design lends itself well to all body types, with simple adjustments to the cam buckles and straps under her sternum. There are elastic loops for her legs and tail, both of which I’d only use if she was using her coat to sleep in a tent at night. Otherwise they may have annoyed or rubbed her skin if she was using them while walking, but they would effectively keep the jacket from shifting and sliding if she were sleeping in it. As much as I wish she could verbally tell me if she thought it was warm, her panting shortly after I put it on was a good indicator that it was indeed keeping her toasty! To be fair, it was a warmer-than-average fall day, but it was undoubtedly providing a quick acting layer of warmth. The quality of construction was impressive. I couldn’t find any areas of loose or unraveling stitching. 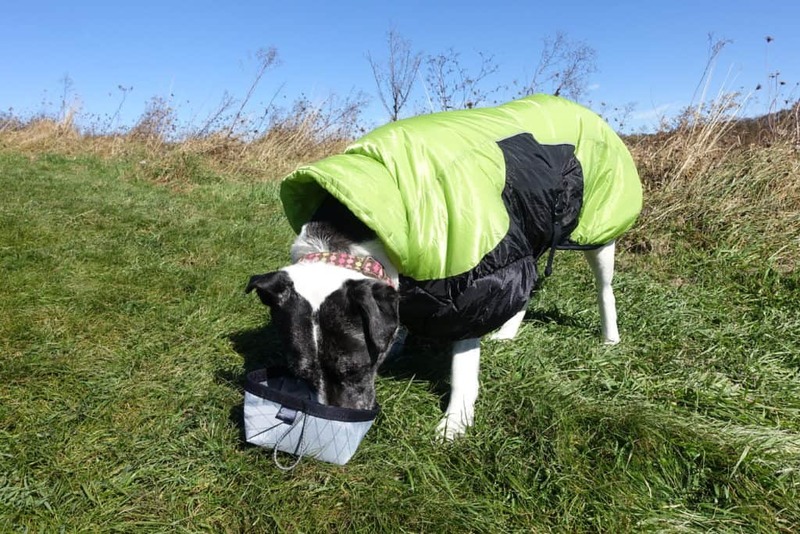 The jacket is constructed of an outer layer of lightweight water and wind resistant fabric (Pertex) which helps the inner insulation layer of Thinsulate stay dry, even if a dog is lying on damp ground. Josie quickly warmed up in her new Puffy Doggy! 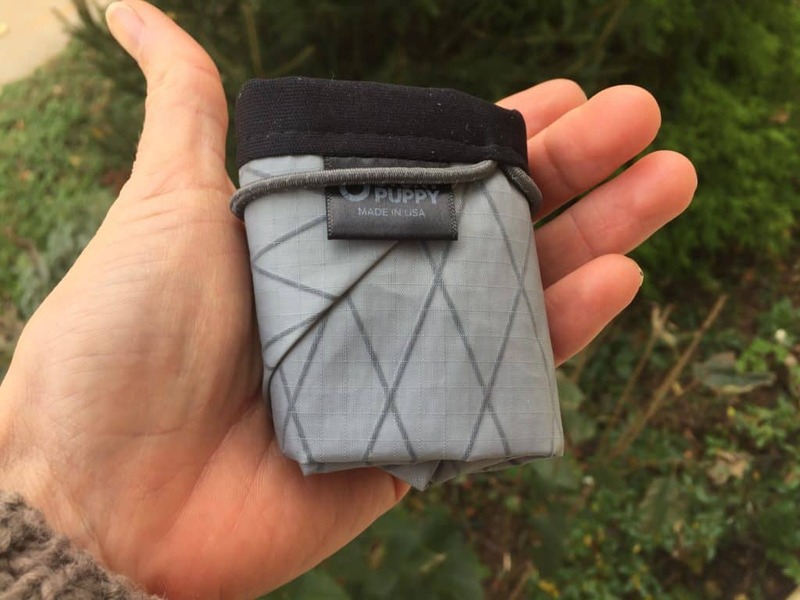 The Puff Doggy is easy to transport too, packing down into its own internal pouch. It weighs in at 11-1/2 ounces (I have the large size) and is machine washable, which is music to my ears since Josie tends to find the muddiest spot in the woods to plant herself! All in all, I was most impressed with this jacket and look forward to using it on our winter hiking and backpacking trips soon! I have been using a compressible dog bowl on my hikes that I bought over 20 years ago when I completed an internship in Alaska. I am quite attached to it because it conjures up memories of a frigid winter day when I watched the Yukon Quest dog sled race finish on the frozen Chena River, which is where I bought the bowl as a souvenir. My fond remembrance of when I bought the bowl, however, is about the only thing that makes it worthy of keeping. It leaks water because there’s no liner in it, so it makes everything damp it comes in contact with in my backpack. It is also very big, too big really, and it adds unnecessary weight to my pack. Clearly I was in need of an upgrade, but I had no idea if another bowl would have features different enough to make it more worthy of replacing something I love, despite its deficit of functionality. It’s a bittersweet proclamation to make, but Stunt Puppy’s Nano bowl has, without question, stolen my heart. In short, it rocks! The bowl weighs just under an ounce, it folds up on itself into something smaller than a deck of cards, and even has an elastic cord closure–perfect for tucking away in my pocket for quick access. It also has a waterproof liner, so gone are the days of my old bowl leaking and dampening other stuff in my pack! I was initially skeptical that the bowl would be big enough for Josie to eat or drink from easily, but she quickly put that to rest. Her muzzle fit just fine and she didn’t seem bothered at all by the smaller size than what she had become accustomed to with her old bowl. The liner easily shed the remaining water, and when it was folded up there was no leakage in my pocket. It would be just as simple to fill it with food and wipe it clean of any kibble crumbles. If I’m being honest, I didn’t want to like this bowl because I knew it would mean replacing one of the more sentimental pieces of gear I’ve hiked with for two decade. I certainly didn’t expect to replace the old one unless it had some features I couldn’t live without going forward. I imagine you can easily guess which one will find a permanent home in my pack now. The Stunt Puppy Nano Bowl is a solid winner in my eyes. Maybe I’ll bronze my old dog bowl like parents used to do with their kids’ baby shoes, to forever immortalize it! When I agreed to review Stunt Puppy’s Custom Artist Dog Collar, I was curious, but not overly excited. It was just a dog collar, right? I was SO. WRONG. Seriously… This is the most awesome dog collar. EVER. I pretty much lost my mind when I received Scotty’s Personalized Custom Artist Collar in the mail. It was SO COOL and PERFECT for him. His name is printed in a graphic, along with some mountains, all around the collar. It’s not embroidered on like I expected; it’s actually part of the woven fabric. The colors are brilliant and bright, and despite almost a month of use, have shown absolutely zero fading or wear. The material is silky and soft, which doesn’t stick or get covered in hair in Scotty’s husky-like, super-thick undercoat. Stunt Puppy is known for their Everyday Collar, which is the same style as the Custom Artist Collar. It’s made of a soft, nylon webbing, with the same extra-strong stitching used in climbing harnesses and heavy-duty buckles. It’s a beefy, tough collar that would hold up to big doggy adventures for his/her lifetime. The double D-rings are a clever design: the one under the neck is for tags to hang, and, courtesy of gravity, and the other is actually in a convenient place to clip the leash to behind the head. 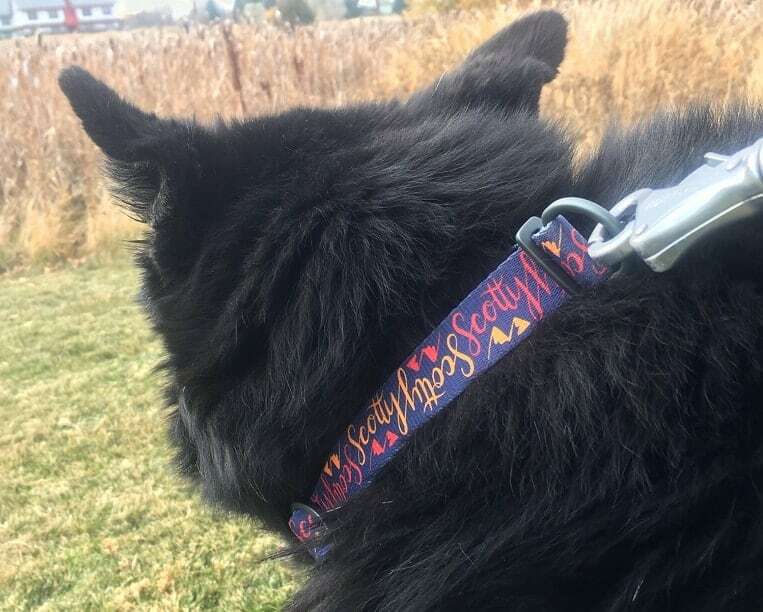 If you know someone who loves their adventure dog, this Personalized Custom Artist Collar will make an amazing gift that will last for a doggy lifetime. I’d be shocked if they weren’t just as pumped as I was, when I saw Scotty’s! Ruffwear was kind enough to send me their new Clear Lake Blanket to test out for my extra-senior retired adventure dog, Scotty. Scotty is a border collie/husky mix, with a VERY thick coat. He is a snow dog, who loves cross country skiing with his people! He almost never showed signs of being chilly, even when it was single digit weather, until he turned about 12. Getting old is hard though, and he started losing a lot of body fat in his senior age. Now, at 16, he gets cold and shivers when he’s camping in our tent and it’s in the 30s or low 40s. I currently throw one of my jackets over him, but seeing as he sheds everywhere and loves to roll in mud and dead stuff, this obviously isn’t my preferred option! I was excited to try a dog-specific blanket! 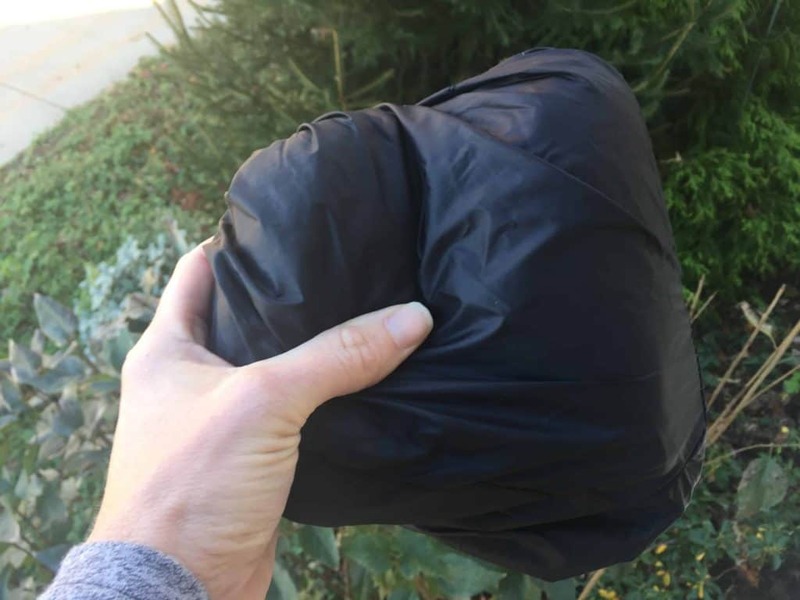 The Clear Lake Blanket comes in a stuff-sack, similar to what you might expect with a sleeping bag, or a Rumpl down blanket, and it packs down quite small. When I first unpacked it, the first thing I noticed was the very tough build (well… that and the vibrant huckleberry color, which I love). I was impressed with how thick and tough the material was. Clearly, it was designed with claws and teeth in mind. The edges are sewn with a thick nylon webbing material, so the blanket won’t fray at the edges with puppy abuse or light chewing. The ripstop nylon also sheds hair. Hallelujah! That’s one problem with “human” blankets: they usually have a softer material on one side that dog hair clings to. Scotty sheds both his long outer coat and his thick undercoat, which sticks to everything like velcro… except for this blanket! I was super happy! (Of course, now that hair ends up on my tent floor, instead of stuck to a blanket, but at least a tent shakes out!) The insulation is light and stays put, without bunching up in the corners of the baffles, even after being shoved in and out of the stuff sack a million times. I’ve had the chance to demo this blanket for a little over a month, and it amazingly, still looks brand new. After I first unpacked the blanket, I set it out on the living room floor. Scotty came right over and, almost like a cat in a box, just hopped right on and made himself at home. We’ve used the versatile Clear Lake Blanket in quite a few different situations: I keep it in the back of my Jeep for Scotty to lay on in the car, he snuggled in it in the front seat of a freezing U-haul during an early Colorado snow storm, and we covered him with it on a freezing night, listening to the elk bugle and star gazing. It’s also made a great temporary bed as we have travelled, both in tents and in hotels. Most importantly, it’s helped him to keep him warm and cozy when the mercury drops outside. He tends to shiver when he sleeps in his dog jackets because he isn’t fully covered. 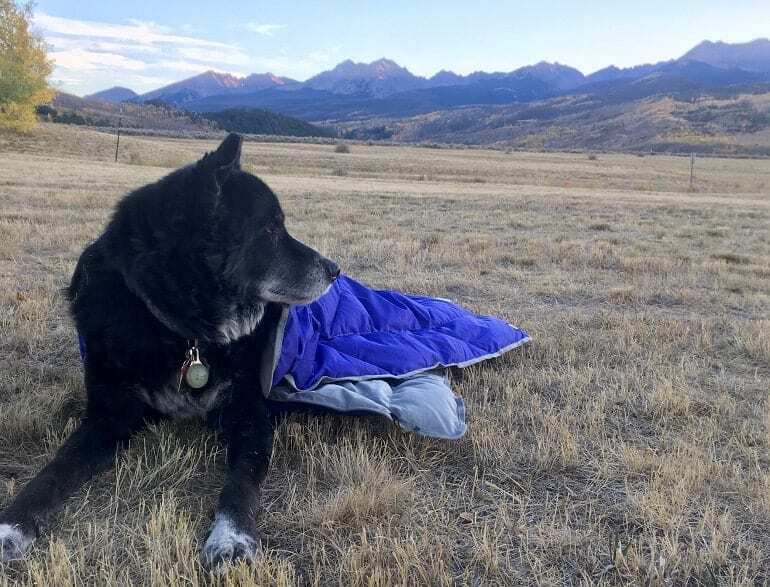 The Clear Lake Blanket gives better coverage, and when combined with a ground pad or dog bed, it works just like a sleeping bag for him. The 500g polyester insulation is NOT thick enough for this to make a full-time bed, but it makes a great insulation layer between your pup and the ground when you need one! The size is also very adequate. I can fold it in half for Scotty to use as a bed, or roll him up in it like a burrito. Scotty is a medium-sized build at 55 lbs. Bigger breeds like Golden Retrievers or Malamutes would likely feel a little exposed or wouldn’t fit if you tried to roll the blanket around them, but it certainly would work as a cover. If you just want a travel bed, I’d recommend going with an actual dog bed like the Bachelor Pad or the Highlands Pad, which is thicker and more padded under your dog for longer-term use. 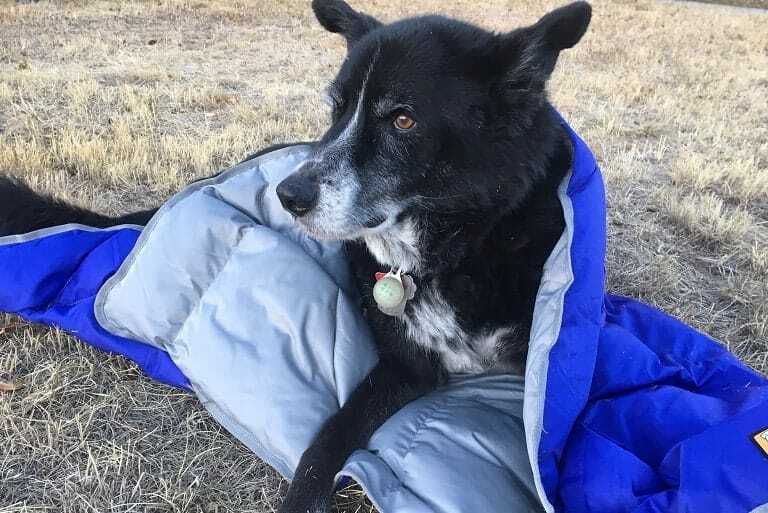 But if you want something that is versatile, light and packable as extra insulation to keep your senior or short-haired dog warm, the Clear Lake Blanket is awesome! We really love this one and we are happy that it will help keep Scotty comfortably camping and traveling with us for all his remaining years! Meet Team Member, Nancy: Nancy lives and plays in the mountains of western North Carolina with her husband, three children, and dog. She is a small animal veterinarian but she is also passionate about her blog, Hope and Feather Travels. She writes extensively about her hiking adventures and outdoor education topics, inspired by her position on her county’s search and rescue team and her commitment to educating hikers with knowledge that will keep them safe in the backcountry. Her greatest passion is spending time in the Great Outdoors, and she is a strong advocate for curing “nature deficit disorder” in children. 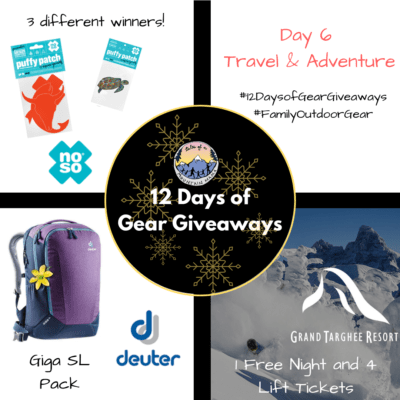 Her family spends as much time as possible hiking, backpacking, mountain biking, kayaking, and skiing, and she is a firm believer that good gear makes for great adventures. 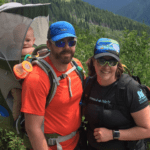 Meet Team Member, Ginny: Ginny has spent her career focused on getting people outside; working with the Park Service, Forest Service, Student Conservation Association and Keystone Science School, as well as spending a decade in the outdoor retail industry. 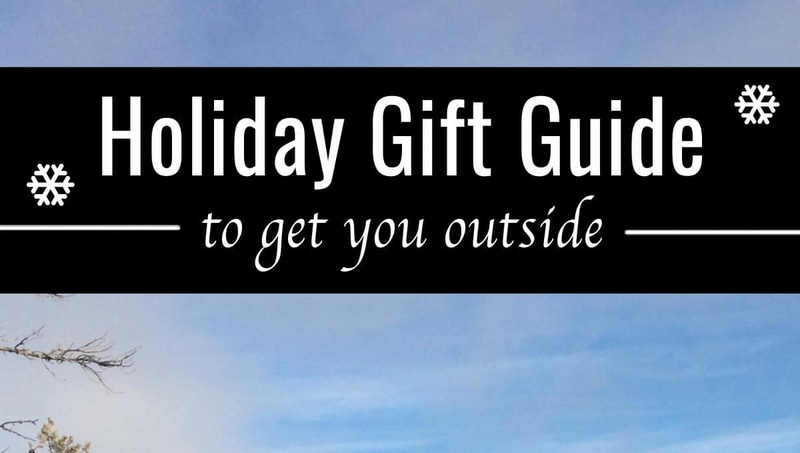 She practices what she preaches, so can usually be found outside: downhill and cross-country skiing in the winter and hiking, backpacking, mountain biking, riding her dual-sport motorcycle, running, and SUPing in the summer. She currently lives in Colorado with her husband, 1-year old son, and awesome trail dog.